For anyone who has, or wants to have, and affiliate marketing business it's important to realize that like any other type of business you will need to learn how to do it. Affiliate marketing is an easy business to learn, but it will still take a little time and effort if you truly want to be successful. 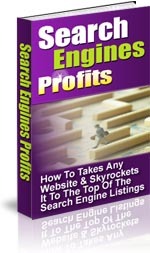 This article can be your affiliate marketing guide and can help you get started on an exciting new career. Sometimes when something is too easy people tend to take it for granted and not take it seriously. I've seen this happen to many would be affiliate marketers. In order to be successful you can never treat your business like a hobby. 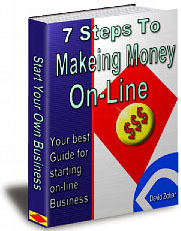 If you learn your trade and work at it consistently you can make virtually unlimited income. The biggest focus of your affiliate marketing business will be to get a steady stream of qualified visitors to your website. There are many methods you can use to do this, some of them are free and others cost money...some times a lot of money. The key thing to remember is that you want qualified visitors. What does that mean? 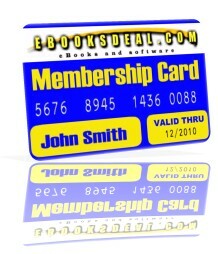 It means people who are actively looking for the product or service that you are offering and are ready to buy. You don't just want to attract a lot of 'tire kickers'. In order to get qualified visitors there are specific things you can do to attract them. For one thing, if you are using article marketing ( a method where you submit an article that offers valuable information about the product you're promoting to be published by an article directory) than you know that anyone who is clicking on and reading your article is obviously interested in your product or service. When you are using Pay Per Click or PPC ( a method where you place an ad on a search engine targeting a specific keyword and you pay when someone clicks on your ad and is taken to your website) than you want to make your ad as specific as possible. For example, if you are selling T.V. 's don't place a generic ad that says "T.V's for sale". That's way too general and you'll get a lot of people who are just looking. If, on the other hand, your ad is very specific like: "Sony 52" High Def, Flat Panel T.V's For Sale" then you will get more people who have narrowed down their search, know exactly what they are looking for and are ready to buy. 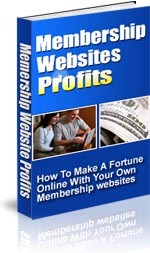 Getting qualified visitors to your website is part one. Part two is to turn as many visitors into customers as you can. One great way to do that is to have an email list that they can sign up to. Offer them something of value such as a free report if they sign up to your list. Then your autoresponder service ( a service that will automatically send out emails over whatever period of time you choose. You just write the emails, pre- load them into the autoresponder, determine how often they should go out and anyone who signs up to your list will receive the emails one at a time starting with number one and going all the way through the series) will help you build a relationship and trust with the people on your list. Just make sure that when you send your emails you don't just send one sales pitch after another. If you do that people will un-subscribe from your list. Instead, offer them valuable tips and add a P.S. explaining the benefits of your product or service. Affiliate marketing is a fantastic career. 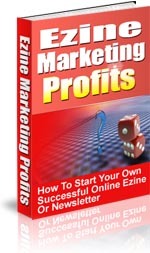 To get started use the information in this affiliate marketing guide and continue to expand your knowledge.